Military presence in front of the prison opens the way for a civil unrest, also threatens to undermine the cease-fire agreement. 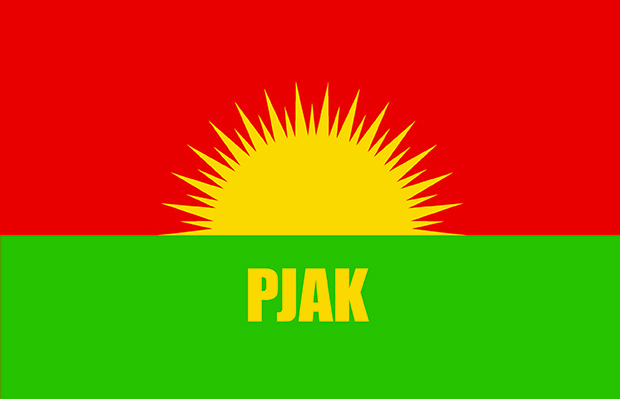 PJAK said “our measures about those attacks on our people Considered as the official stance of the Iranian government and warn the situation can escalate our patient and another level. The endurance of this situation until now has been due to our dissatisfaction of foreign intervention between us and Islamic republic of Iran. Our position has always been to prevent foreign interference in Kurdistan’s affair regarding Kurdish issues. Hostile policy of this government so far demonstrates the unwillingness to come to terms of negotiation and dialect with the Kurdish party. We strive to create an environment of open a peaceful resolution to our issues, But the Iranian government, but regardless the position of the Kurds; continue to exercise the policy of intolerance toward the Kurdish issue and trying to impose to militarism. With the current crises of the Middle East in general, which the main target of this Interventions eventually be the republic Islamic of Iran, with choosing such a policy, Iran is playing with fire and will drags Iran to an long term domestic war. The Iran regime Instead of embracing the Kurds, authorities to continue with their racist policies and our hope to be able to resolve the issue through peaceful solution are becoming more blurred and hopeless. The regime of Iran is in a situation that doesn’t have the ability to deal and confront with the uprising. The political situation in Iran, the possibilities of risks at the borders of Iran and region makes impossible for Iran to continue with this policies which against the people of Iran especially the Kurds. The government of Iran must realize that if once again resumed the war against the Kurds, this war will not be same as the past, at the same time, uprising of the other nationalities expectable. If the Iranian regime shouldn’t get lesson from the Syria, Egypt, Tunisia and Iraq, will have the similar fate and makes background for the foreign intervention. We once again call on the Iranian government to immediately end the current practices in prisons of Urmiye, otherwise they Will be responsible for the consequences. In the silence of public opinion, many human rights organizations, Parliament of Europe, the Organization for the Prohibition of Torture (CPT) and another Institutions Responsible global, is the sign of collaborated with the regime against Kurds. Before too late, we invite all the parties to break the silence about the hunger strike of central prisoner of Urmiye which they are in danger health situation and their life is at risk.